Mon, Tue, Thurs, Fri: 8:30 am - 4:30 pm. Wed: 9:30 am - 7:00 pm. Weekends Closed. 24 hr On Call. 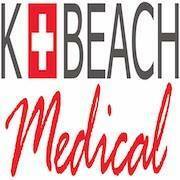 K-Beach Medical is committed to providing quality and comprehensive healthcare. To learn more about our clinic and how we can help you, get in touch with us today.